Please read Shop ANNOUNCEMENT before purchase for current production times: https://www.etsy.com/shop/mainegirlcreations?ref=hdr_shop_menu OR check under shipping tab within listings for current production times. 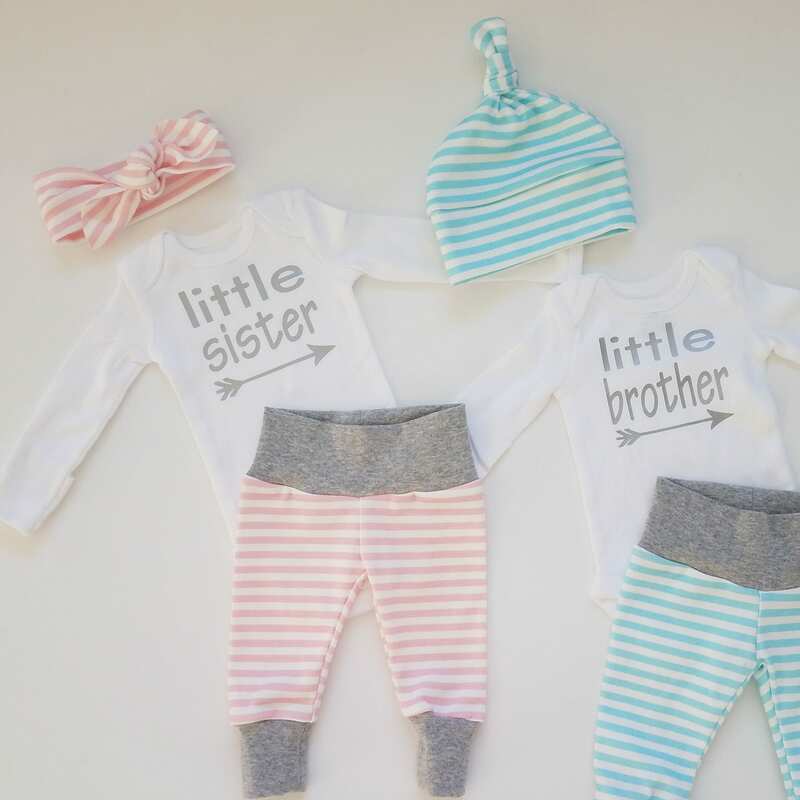 Looking for a sweet, hip and comfy outfit to bring home your sweet little sister and little brother bundles... look no further this set has it all. 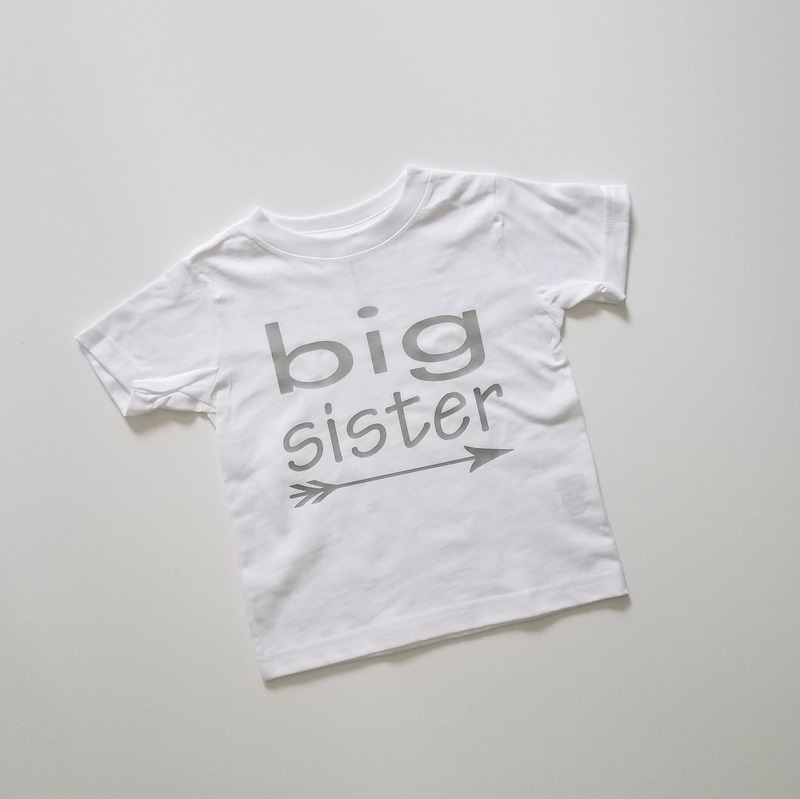 Bodysuit has heat pressed silver vinyl with little sister and little brother both with arrow below. Jogger leggings are an organic interlock cotton light pink with white stripes and light blue with white stripes. Gray cotton/spandex comfort waistband and ankle cuffs. 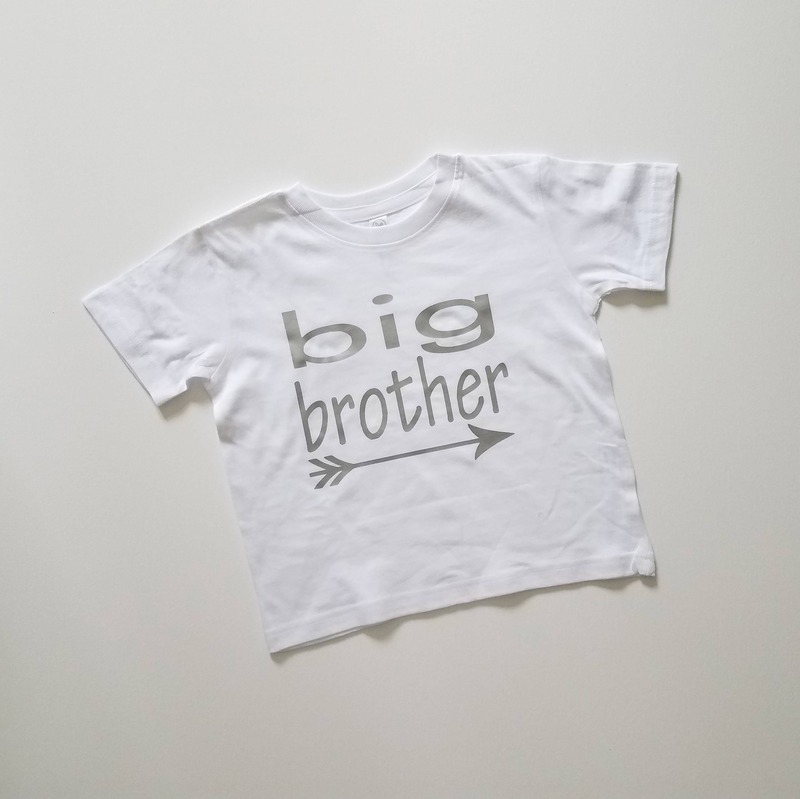 BIG BROTHER/BIG SISTER T can be added to order, view drop down options menu within this listing for choices. Leave sizing info in the notes section at checkout.